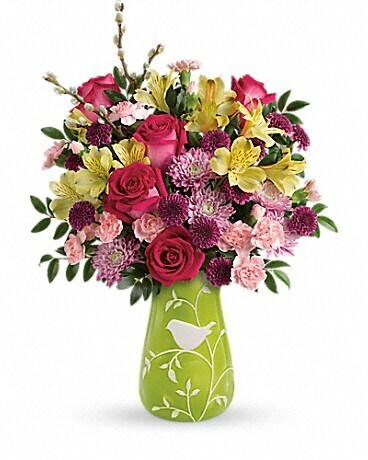 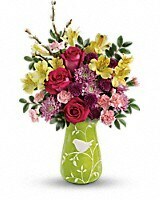 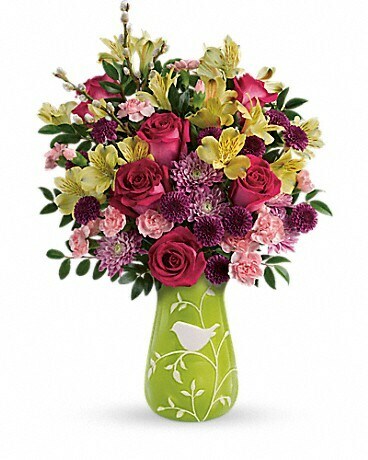 Send your best spring greetings with this unforgettably colorful surprise! 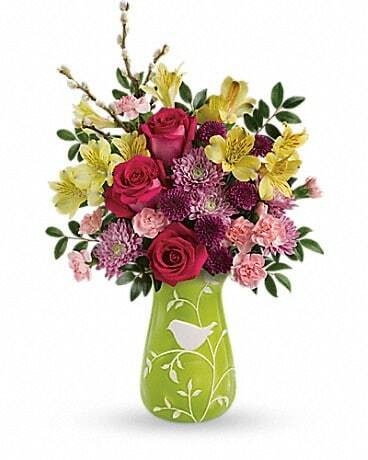 Fresh, fabulous blooms in shades of pink, yellow and purple herald the new season in a beautiful ceramic vase. 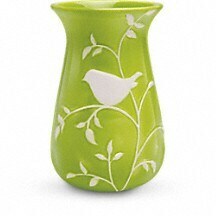 Hand-crafted and hand-glazed, it features a charming low-relief bird motif and a fresh shade of green that's sure to make it a perennial spring décor favorite!